Should Trucking Companies Be Allowed to Use Hair Drug Testing on Truckers? Home|Blog|Motor Vehicle Accidents|Should Trucking Companies Be Allowed to Use Hair Drug Testing on Truckers? 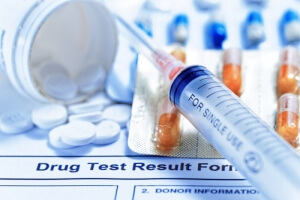 As current trucking regulations sit, trucking companies are required to drug test drivers during the hiring process via urine tests that screen for at least five different classes of drugs. This drug testing can also be conducted by trucking companies where there is reason to suspect that a driver may be impaired by drugs while on duty or driving a company vehicle (because, for instance, the driver was involved in a truck accident). A debate regarding the use of hair drug testing for truckers in heating up in Congress, a Denver truck accident attorney explains. Here’s more on this debate. Despite the fact that urinalysis for drugs can determine whether drivers may have been using narcotics within days (or sometimes weeks) of their drug use, depending on the type and amount of drugs, these tests have some problems, the American Trucking Association (ATA) has recently pointed out. Namely, urine drug tests fail to indicate whether people may be chronic drug users, opening up the risk that people will dry out for a few days to pass a test and then start using once they gain employment. ATA is aware of thousands of truck drivers who have tested positive for illegal drug use on hair tests and have obtained driving positions with other carriers because they were subsequently able to pass DOT-required urine tests… Several of these drivers have had crashes and, of course, future ones are likely as a result. Hair testing is a validated, proven and effective method for detecting illegal drug use that has been widely embraced by private industry and many governments worldwide… Congress should remove impediments to the adoption of hair testing by trucking companies that follow industry standards . . . Moreover, Congress should reject efforts to protect the employment of drivers whose drug use might otherwise go undetected. It is widely known that hair specimen can test positive for a drug that its donor was merely exposed to but never actually ingested. Studies also show that hair testing may have an inherent racial bias, as darker and more porous hair retains drugs at greater rates than lighter hair… And recently, a federal court of appeals held that Boston police officers subject to hair testing for illegal drugs had proven, ‘beyond reasonable dispute,’ a prima facie case that the testing program caused a disparate impact on the basis of race in violation of the Title VII of the Civil Rights Act of 1964. Where do you stand on this issue? Post your opinions on our Facebook & Google+ pages. Contact an Experienced Denver Truck Accident Attorney at Bell & Pollock, P.C. If you have been injured in a truck accident, you can turn to a Denver truck accident attorney at Bell & Pollock, P.C. for experienced help advocating your rights and pursuing justice.